Heavy Zen: STUDIES UPDATE: The road to success is never a straight line. 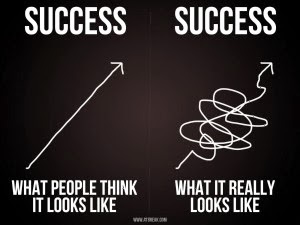 STUDIES UPDATE: The road to success is never a straight line. As some in my inner-circle know, at the age of 40 I decided to go back to school and pursue a new career. My guess is that there are others that are my age and who are not only making the same decision but also thinking about moving into the same field. I figure that an update once and a while on my trials and tribulations might be interesting So from time to time I will post on what is going on. As you know I am back in school and have high aspirations of obtaining my PsyD (which is a Doctor of Psychology). This is kinda vague since there are multiple fields of study under this subject. Although it is way to early to figure out what my niche is I am starting to understand what I might want to focus my attention on. I really interested in Positive Psychology and at the same time obtaining some sort of certificate in nutrition. OR focus on Health Psychology and get Life Coach certificate. I will have to see what route is best for me. I also have been roughly calculating my completion timeline and it looks like will be 50 years old when I am done, which is scary on multiple levels but in the end it will be well worth it. It's funny how taking on this life project was an easy decision but making it public information was very difficult. I'm 40 and in the public eye their are many points of possible failure in this endeavor. Sure, I'm not supposed to care, be strong, blaa, blaa, blaa and all that but in reality a project of this size needs a strong support group. This means that all my peers will become important. Scary stuff! It is a bit early to determine how this will apply in the real world but my thoughts are to bring a more masculine approach to helping guys deal with being overweight (teens to my age), deal with various life obstacles and in the end achieving their goals. I still have lots to learn and process but I'm on the right track and that is what is important!